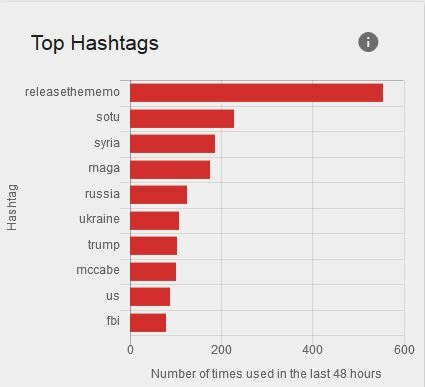 For weeks, one of the trending hashtags pushed by a network of known Russian bots has been #ReleaseTheMemo. The memo in question is a summary of classified materials prepared by the Republican staff of the House Permanent Select Committee on Intelligence. It is said to suggest that the FBI’s request of a FISA warrant in 2016 was flawed because it relied on information from the so-called Steele Dossier, which President Trump has called “fake news” while media outlets have reported that elements of the dossier have been confirmed. The memo is a transparent effort to undermine the many investigations of the President, his campaign, and Russia’s intervention in the 2016 election. The chairman of the House intelligence committee, Representative Devin Nunes, used a little-known procedure to seek the public release of the memo. The committee voted along party lines to release the classified memo. The request was swiftly approved by President Trump, an authority he has as the final arbiter of the nation’s need to classify or declassify information. In a remarkable twist on Wednesday, however, the FBI, released a public statement warning of its “grave concerns” over the release of the memo which is characterized as misleading, containing material misstatements of fact, and critical omissions. The intention here is as transparent as it is fraudulent. Devin Nunes has been the President’s lackey for the better part of a year. In an earlier, ill-fated effort to discredit concerns about Russia’s attack on our democracy, Nunes conspired with the White House to push claims that former National Security Advisor Susan Rice had inappropriately unmasked U.S. citizens in wiretaps of foreign nationals. Those claims were resoundingly debunked and Nunes, supposedly, recused himself from the Russia investigation. Apparently, it didn’t stick, and now Trump has seized on the memo as his best hope to discredit the Mueller investigation. In an early morning tweet on Friday, the President attacked the “top Leadership and Investigators of the FBI and the Justice Department” for politicizing the investigation of him and his campaign. Of course, the President is talking about an Attorney General, a Deputy Attorney General, and an FBI Director that he appointed. Still, the bigger point remains Russia’s attack on American democracy. The truth is, many national security experts began worrying about Russia in the summer of 2016, long before we knew about the Steele Dossier, before we knew about Carter Page’s wiretaps; while we thought Secretary Clinton was going to win. I wrote an article that fall, “The Russians Read our Cold War Playbook,” published before the election, that makes the case about Russia’s political warfare against the United States in the online policy journal, War on the Rocks. Emails stolen from the DNC were being released through Wikileaks—which for years people in the national security community were concerned may have had an active relationship with Russian intelligence. The nature of the released emails seemed to be like a page lifted from an old Cold War playbook. In the emails stolen from the DNC, we saw the underbelly of American politics, confirming a narrative Vladimir Putin had personally pushed: that America is not exceptional. 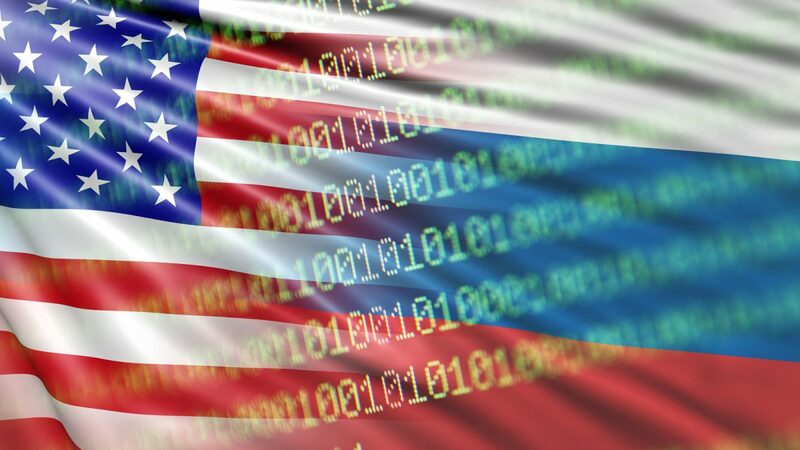 Finally, we know now because of remarkable reporting out of the Netherlands in just the last week, that Dutch intelligence had hacked the Russian hackers who had been going after high value American networks for several years. According to a report in the Dutch press, the Netherlands didn’t just get into the network of the hackers, they got into their security cameras and were essentially standing over the shoulders of their targets, watching in real time as the Russians attacked the State Department’s email system; the White House email system; and yes, the DNC’s email system. If that report is accurate, then there’s, at minimum, video. Video of who the hackers were. Video of their key strokes. Video of who came to visit them. And there may be more. Our task as citizens is simple: we need to see through the sound and the fury. We need criminal investigations to ferret out wrong doing and prosecute the perpetrators. And we need our government and our fellow citizens to respond to the threat of foreign disinformation and political warfare with a robust defense of the American republic; an ironclad devotion to truth and the rule of law; and an unbreakable commitment to the free institutions upon which we have built our history, our lives, and our destiny as a people since 1789. I find this troubling. Poland was born out of the carnage of the First World War when the statesmen of Europe and America tried to fashion a peace that would prevent another war from happening. We know they failed, in part because they accepted the rationale of ethnic nationalism—that national boundaries should be redrawn along ethnic divides. So by 1938, Hitler could use the rhetoric and rationale of the peace makers of 1918 in claiming that the Sudetenland—then part of Czechoslovakia—should be part of Germany. This same DNA lives in the chants of “pure blood” that rang through Warsaw’s streets last weekend. It’s 2017, and ghosts we thought were long dead in Europe and America are alive and well and, frankly, they’re gaining strength. The choice we have—the choice that leaders have grappled with for the last century—is a choice between a world that is plural, diverse, and at peace and a world that is singular, pure, and violent. The forces of purity and violence are on the march. One of my tasks as a university professor is to get my students to actually read original documents—not just the Wikipedia summary—and tell me what those documents say. So last week, my students read the Atlantic Charter—the agreement signed by Roosevelt and Churchill on August 14, 1941 (before the United States entered World War II) that described the joint war aims of the United States and the United Kingdom. They sketched out in very sparse language 8 shared objectives of the war. They made clear they were not fighting to gain new territories; they wanted to increase the welfare of people everywhere; they wanted to reduce armaments; but they also talked about ensuring free and unfettered access to natural resources all the world over; and they talked about collaboration between nations on “labor standards, economic advancement, and social security.” This is the stuff of free trade. In other words, increasing globalization was something we fought for in the Second World War—and the institutions of peace that followed it—the United Nations; the World Bank; the International Monetary Fund; the General Agreement on Tariffs and Trade; and ultimately the World Trade Organization all draw a straight line to the war aims Roosevelt and Churchill agreed to sitting in Placentia Bay, Newfoundland in the summer of 1941. The truth is, the world they created was increasingly plural, diverse and peaceful. Purity had brought war and destruction. The post-war era was intentionally engineered to bring diversity and peace. That’s what’s under assault today. That’s why I’m so worried. There are forces kicking at the pillars of post-war stability, seeking to drive us apart, to emphasize our differences both within nations and across borders—and in doing so, ushering in a world of purity and violence. For more than 20 years, experts have warned about a “digital-Pearl Harbor” when the West’s dependence on information technology would be exploited at great cost and peril. Adam Segal argues that the reality of the cyber threat has proven more complex and dangerous than expected. Adam Segal is the Ira A. Lipman chair in emerging technologies and national security and director of the Digital and Cyberspace Policy Program at the Council on Foreign Relations (CFR). An expert on security issues, technology development, and Chinese domestic and foreign policy, Segal was the project director for the CFR-sponsored Independent Task Force report Defending an Open, Global, Secure, and Resilient Internet. His book The Hacked World Order: How Nations Fight, Trade, Maneuver, and Manipulate in the Digital Age (PublicAffairs, 2016) describes the increasingly contentious geopolitics of cyberspace. After years of tension and disagreement, negotiations over the Australia-Timor Leste maritime boundary line are drawing to a close. In September 2016, Canberra and Dili agreed to take part in a year-long conciliation process under the supervision of the Permanent Court of Arbitration at The Hague. In so doing, both Asian democracies have demonstrated their willingness to uphold the extant rules-based system. Indeed, the law of the sea is one of the structural pillars of the international order. The complex rules and norms that govern freedom of navigation and maritime economic activity have played a crucial role in the preservation of the global commons. Over the past few years, Asian states have displayed markedly different attitudes toward the United Nations Convention on the Law of the Sea (UNCLOS) and—more broadly— vis-à-vis the international legal regime. These differences have become particularly stark in the field of maritime dispute resolution. Whereas some Asian states such as India have agreed to abide by U.N.-rendered verdicts on long-standing maritime boundary disputes with their smaller neighbors, others—such as the People’s Republic of China—have become ever more hostile toward international arbitration. As we approach another landmark verdict, the Pell Center for International Relations and Public Policy has commissioned—with the aid of the Timor Leste government—a series of short papers and opinion pieces on Maritime Dispute Resolution and the Future of the Asian Order. Breaking the Resource Curse? Timor Leste’s Resource Reliant Democracy | Kristin Johnson, Ph.D.
As additional pieces are published, they, too, will be posted here. “Fake news” is more than just the domain of Russian influence operations. It’s a permanent part of the media landscape—and it has been for millennia. You can think of heresy in the early Catholic Church as a form of “fake news.” You can think of the yellow journalism that took the United States to war against Spain at the end of the 19th century as a more recent example. In today’s media environment, there are those who trade in fake news as a way to attract viewers and advertisers. Characters like Alex Jones of Info Wars stand out, but he is not the first infotainment charlatan, and he’s likely not the last. The challenge for citizens in democratic societies is to distinguish reliably between legitimate news—things we need to know and understand in order to shape our societal response—from fake news—stories that serve some other purpose, from profit to corrupt influence. In the early 18th century, a fair-haired, blue-eyed man appeared in London going by the name of George Psalmanazar. He claimed to be the first-native born person from Formosa (now, Taiwan) to travel to Europe. He claimed to have been abducted by an evil Jesuit priest and brought forcibly to France where they tried to convert him to Catholicism. He refused and escaped, only to be captured by Calvinists who tried to convert him. Again, he refused their efforts to convert him and escaped—or so Psalmanazar claimed. Upon arriving in London his stories of abuse, especially at the hands of the Jesuits, played to the confirmation bias of his audience who distrusted Catholics and disliked Catholicism. Many of Psalmanazar’s claims just didn’t add up. First off, blonde-haired and blue eyed, he didn’t look Asian. His stories of barbaric practices—the ritual sacrifice of 18,000 boys under the age of 9 every year—didn’t seem plausible given what was known about the size of the population on Formosa. He was called to account before the Royal Society—where the most educated people in the 18th century came to share their latest data-driven understanding of the world around them. They questioned Psalmanazar. Sir Edmund Halley (famous for Halley’s Comet) asked all manner of precise questions about astronomical observations from Formosa. Psalmanazar was a gifted storyteller and could definitely think on his feet. He continued to fool some, but then the information networks of the late 17th and early 18th centuries began to produce results that undermined Psalmanazer’s claims. The head of the Royal Society was none other than Sir Isaac Newton. Not just a genius of the scientific sense, he was an early super-user of information networks. He was a share holder in a number of joint-stock companies trading around the world. He held position in government. He was at the hub of a vast network of information that moved by letter, by journal, and by report back to headquarters in Western Europe. Together, the input from all of these networks served to undermine the credibility of George Psalmanazar who died in relative obscurity an admitted fraud. The take-away for the current consumer of information is one of hope and one of imperative. The Enlightenment in Europe is rightfully celebrated as the awakening of reason in public life. 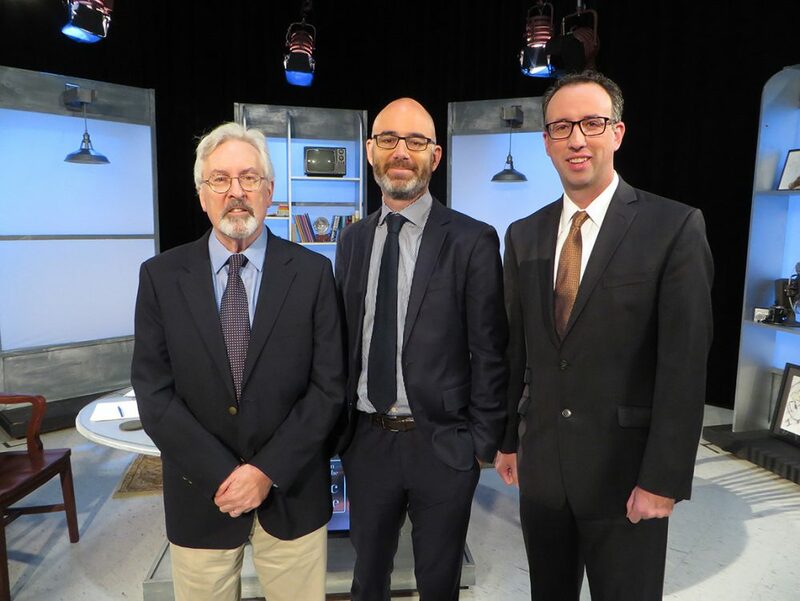 Science, data, and reason supplanted faith and orthodoxy. There remained much to learn about the physical world and progress would take centuries to achieve, but there is hope in the fact that perhaps our era is not so flawed if the age of Sir Isaac Newton suffered the intellectual insult of a George Psalmanazar. Challenge assertions. Ask yourself—how can I confirm what I’m reading? In 1704, that meant writing letters and waiting weeks and months for a response. Today, we can google it. Ask: is anyone else reporting it? If something is a big explosive story, then it’s not only going to be covered by a news outlet you’ve never heard of before. Again, google it. Is anyone reputable covering it? If not, maybe wait a couple of hours before you share it, Tweet it, or forward it. Ask: would the person or organization making such claims be in a position to actually know the facts they are reporting? Journalists at major news outlets, in particular, spend years and years cultivating sources. It’s unlikely someone you’ve never heard of before at a previously non-existent news outlet scooped them. 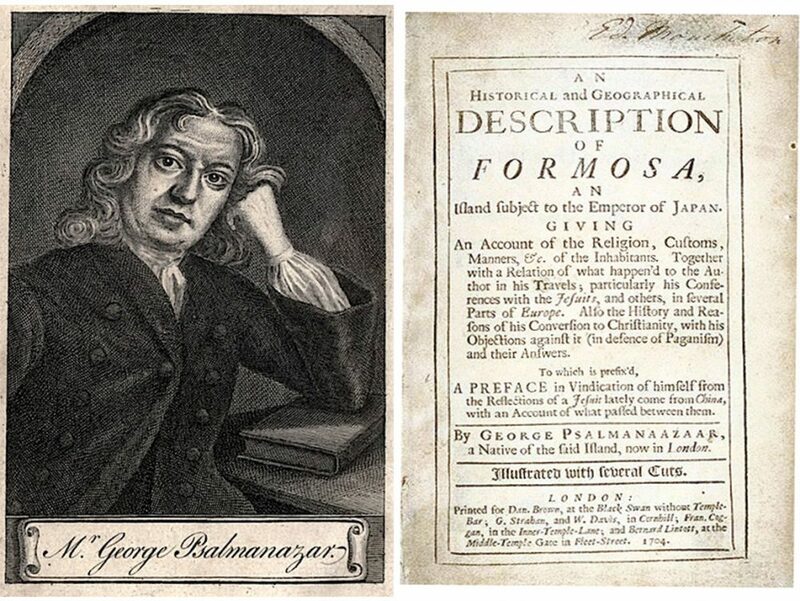 In George Psalmanazar’s case, the suggestion that he was a native born Formosan, with blue eyes, fair skin, and blonde hair, seems like it should have been a tell that he wasn’t being honest. There are similar tells today. Finally, ask: do the circumstances around the news play to confirmation bias? Psalmanazar got as far as he did, in part, because he arrived in London with a story that blamed Catholics and Jesuits in particular. Stories of their wicked ways were expected in early modern England, and Psalmanazar found a receptive audience then just as comparable stories about Muslims do today—not because the stories are true, but because they confirm the bias of their audience members. The best antidote to fake news is an informed, critical-thinking citizenry. The information tools at our disposal today are staggeringly vast in their reach and miraculously fast compared to the correspondences that informed the Enlightenment. But we must choose to be better consumers of and purveyors of information. Our task isn’t anything more complex than making a conscious assessment about the information we share in our own networks and demanding the same from our friends and followers. The tools are there. We just have to use them. Newport, RI – Vladimir Putin’s Russia is engaged in a well-financed and determined campaign to undermine democratic political and social institutions as well as international alliances, and to remove resistance to Russia’s foreign policy objectives. Russia has the motive and the means to do so, according to a new report from the Pell Center at Salve Regina University. “Shatter the House of Mirrors” is based on the proceedings of a closed conference held at the Pell Center on the campus of Salve Regina University in Newport, Rhode Island, in June of 2017, drawing together 36 researchers, technologists, scholars, journalists, and policy experts from North America, Europe, and Australia. The invitation-only conference operated under Chatham House Rule, so participants and their affiliation may not be identified. 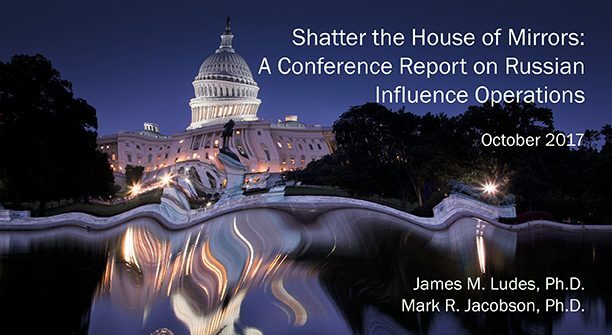 The report was authored by the only two public participants in the conference: Dr. James M. Ludes of the Pell Center at Salve Regina University and Dr. Mark R. Jacobson of Georgetown University. Improve transparency and raise public awareness of the threat. Specifically, the Pell Center authors call for the appointment of an independent bipartisan commission to establish a widely-accepted understanding of Russia’s actions, means, and objectives in the 2016 U.S. election. Specifically, the study highlights the need for a public accounting of irregular social media activity in battleground states prior to the 2016 election as well as on-going social media efforts to sow division in the United States. Ludes and Jacobson also call on the news media to review, and if necessary revise, their standards and practices so that they don’t become unwitting vehicles for foreign propaganda. Social media platforms, themselves, must be regulated and held to federal standards of transparency when it comes to political advertising. Finally, the study recommends public and private investment in the investigations and reporting needed to educate the American public about a threat that has not waned. Prepare the executive branch for a new cold war. 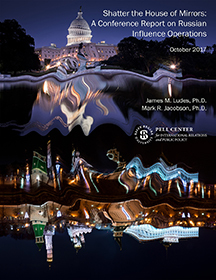 Organizations from the White House to the intelligence community need to be reviewed for their efficacy in meeting the propaganda challenge to the West, according to Ludes and Jacobson. The White House must communicate to Con­gress the need for any new authorizations to meet this threat. It must also request suf­ficient appropriations for these activities and prosecute these programs vigorously. The authors called on the Trump administration, as well, to provide the diplomatic leadership required for an international response to the common challenge posed by Russian intervention in the democratic processes of the West. Congress must lead. Ludes and Jacobson argue that in the absence of clear executive branch willingness or readiness to lead on this issue, the U.S. Congress must take the initiative. It can do so by elimi­nating “dark-money” in American politics; requiring more transparency by corporations operating in the United States; embracing bipartisanship in the defense of American democracy; and reforming the laws governing the activities of foreign agents operating in the United States—to begin by considering legislative changes that would require state-sponsored media outlets, such as RT and Sputnik, to publicly reveal their sources of funding. Invest in the American people. Finally, the authors of the Pell Center conference report urged the public to once again consider education a national pri­ority and the cornerstone for an effective defense of democracy. Russia, they argue, “exploited Amer­ica’s media illiteracy, our civic illiteracy, and our historical illiteracy.” The Pell Center study calls for increased funding for programs to increase the public’s resistance to influence by foreign powers. “Shatter the House of Mirrors” is available for download here. Globalization has gotten a bad rap over the last couple of years. The concept is invoked regularly to explain the loss of American manufacturing jobs (though automation is likely the bigger culprit going forward). More ominously, the new bogey-men of American politics are so-called “Globalists”—people, this theory holds, who want to subvert American sovereignty to global standards, laws, and rules. In American politics, two stories are emerging—a narrative dichotomy, if you will. On the one hand, there is globalization, predicated on the free movement of ideas, goods, wealth, and people. On the other there is a nationalist story manifested in national limits on the movement of those things in order to protect national identity and, some would argue, national interest. These competing stories, like any false dichotomy, are dangerous and important because whichever story dominates public discussion will lead to diametrically opposed policy choices and outcomes. For example: with globalization, people move to where economic opportunity exists, just as wealth moves to economic opportunity. That’s immigration. That’s foreign direct investment. With a nationalist orientation, you might limit the movement of people into your country to only those who can materially benefit your country—however you define that. You also might restrict the flow of capital into your country. So if a foreign interest seeks control of important industries, you might restrict or even prohibit that. Or you might put a tax on things manufactured in other countries when they cross the border into our country in order to make American-produced items more competitive from a price perspective. The nationalist critique emanating from far-right sources in the White House and at Breitbart is over-stated. Globalization is not an objective, but a process by which the features of every-day life—whether we’re talking about the spread of things or ideas—is increasingly standard around the world. The view of globalization as a process is borne out by history. While some contemporary analysts trace globalization to the post-World War II economic system, that is only its most recent manifestation. In fact, globalization is not an exclusively modern phenomenon. We can find its antecedents in the earliest human history—in the way written language spread, in the way food-stuffs spread, in the way art and culture spread, even in the way religions spread and evolved. At its core, the process of globalization seems to be a human impulse—we need to connect, to discover, and to trade. And the more we do those things, the more standardize life becomes around the world. 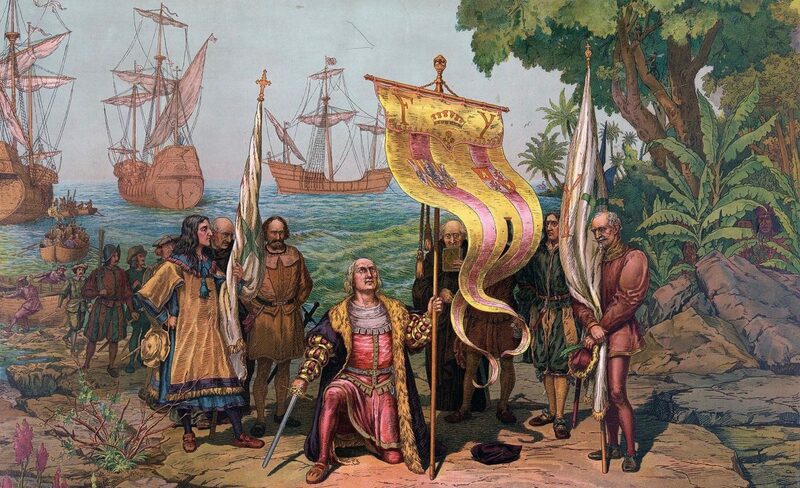 Consider this: in 1492, Columbus discovered the New World. Historians describe what happened next as the Columbian Exchange—the largest transfer of biology in history between the old and new worlds. To the New World, Europeans brought smallpox, sugarcane, and, eventually, African slaves. From the New World, Europeans brought back venereal disease and food stuffs, things like the tomato, the potato, and the chili pepper that became part of the basic diet of people around the world. Just think about the use of red pepper in “national dishes” across Europe and Asia—that doesn’t happen without Columbus. That doesn’t happen without connection and exchange. And these forces are at the heart of what today we call globalization. So many of the simmering debates in the United States grow from globalization: immigration, trade, and the role of international institutions. Since the end of World War II, Western and Western-oriented leaders have put their faith in the belief that trade and exchange will contribute to peace between the great powers of the world. So far, that’s proven a good bet. But we have a moment now between Brexit in Europe and the policies pursued by the Trump administration on trade and immigration, when the forces that bring us together seem to be on the wane. They’re being challenged specifically as politicians emphasize the value of our national identity and the nation over the things that remind us of our shared humanity across the globe. How we resolve these issues will shape the global economy, our own domestic productivity, and questions of war and peace across the coming century. There are unmistakable ties between American white-supremacist groups, including those active in Charlottesville, Virginia, and Russia. While the specific events in Charlottesville have not been linked directly to any foreign power, demonstrable ties exist between individuals and organizations and are consistent with a broad Russian effort to weaken the internal cohesion of the United States by encouraging secession, ethnic divisions, and white nationalism. Russia has cultivated ties with organizations and individuals on the right in both Europe and the United States. 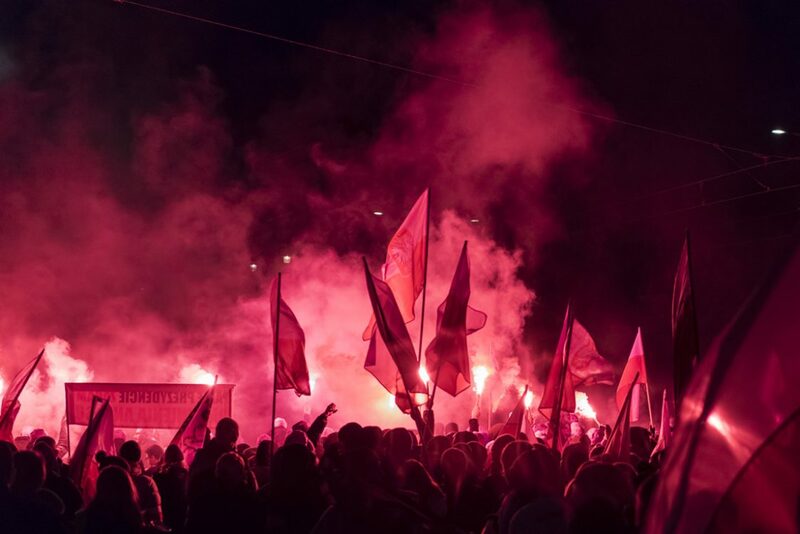 In Europe, Russia’s efforts have taken the form direct support to far-right political parties, financial support for nativists such as Marine Le Pen in France, and even the planting of fabricated news stories. In the United States, we see ties between Russia and organizations like those advocating for secession in California and Texas, among other places. In the United States, there is also a strange affinity for Russia espoused by some in the evangelical Christian community who see Russian President Vladimir Putin as a Christian leader preserving White European identity against an Islamic onslaught. These views of Putin are widely held among American white supremacists. Of course this is not to say that Putin controls American white supremacists or that white supremacists are motivated by anything other than their own warped world-view. But history and recent evidence demonstrates that one feature of Soviet and, now, Russian active measures is to exploit and encourage divisions that already exist within Western societies—whether it was the American civil rights movement fifty years ago, the peace movement of the 1980s, or the controversy around the Black Lives Matter movement today. The objectives of Soviet and now-Russian active measures against the West have been remarkably consistent: sow discord, emphasize divisions, discredit Western liberalism and the world-order which rests on it. These objectives are predicated on a zero-sum approach to international politics. If the West—and the United States in particular—is weaker, that’s seen in Moscow as good for Russia. If Western liberalism—free elections, pluralism, free speech, and free institutions—appear dysfunctional, that helps secure the illiberal regime in power in the Kremlin today. These divisions also limit American soft-power and distract the American people from Russia’s actions in places like Syria and Eastern Ukraine. Spencer’s ties to Russia, however, are provocative. Spencer’s now-estranged, Russian wife Nina Kouprianova has worked as English translator of the works of Alexander Dugin, a Russian political theorist who champions Russia as the new Rome—the defender of white, European identity. On August 4, 2017, Dugin was interviewed by Alex Jones on Info Wars and attacked National Security Advisor H.R. McMaster as a globalist—a member of the cabal weakening traditionally white civilization. Previously, in 2015, Dugin delivered a lecture via Skype to Texas A&M University titled, “American Liberalism Must be Destroyed.” That same year, Dugin spoke to the “Traditionalist Worker Party” led by Matthew Heimbach who has called for breaking-up the United States in order to create a white ethno-nationalist state. Both Heimbach and Spencer were scheduled to speak at the rally in Charlottesville. In an analysis piece published by The Washington Post, Adam Taylor, without citing experts to which he alludes, dismisses Russian “influence in the U.S.” as “dramatically exaggerated” to make the case that American white supremacy is home-grown. In all fairness, he misses the point. No one who has studied, even casually, the long history of racial animus in the United States would see events in Charlottesville as anything other than part of the American experience. The stories we tell ourselves shape the way we think about ourselves—read any self-help book and you know that “self-talk,” is a common refrain. When you tell stories about yourself where you are always the victim or always the hero, you are conditioning yourself to respond to other situations in that self-selected role. The same is true of the stories we tell about the United States. One of the dominant narratives in the American psyche is that we are a nation of immigrants. It’s a story that happens to be supported by facts. With the exception of Native Americans, we all trace our roots to another land. Our ancestors braved harrowing ocean transits—some by choice and some in slavery—to come to the New World. Over the long arc of history, our society has blended these identities together to form an American identity. When I was in grade school, the term du jour was “the melting pot.” Now, people talk about America as a tossed salad—everyone preserving their own unique flavor, but we’re in the bowl together. The poet Emma Lazarus contributed to this story about America with her poem “The New Colossus,” written in the late 1800s and sold to raise money for the pedestal on which the Statue of Liberty stands in New York Harbor. Our national motto, e pluribus unum, “from many, one,” originally intended to reflect several states forming one nation, has, in more recent generations, also been seen to describe one people—the American people—emerging from immigrants from all over the world. One of the reasons the American experiment has been so successful is because we have been able to assimilate and integrate different groups into our society. If you go to Europe, in contrast, and talk to people about what it means to be French or German, very quickly you learn that national identity is based purely on the blood in your veins. But in the American tradition—and the American myth—if you adopt our values and embrace our constitution, anyone can be American—with all the opportunities and potential that entails beyond “the golden door.” Anyone, we believe, can choose to be American—and that is perhaps one of our most exceptional features as a people and as a nation. In contrast, you cannot choose to be German, even if you live there. To be sure, the “melting pot,” is a myth, too. We have always had grave societal challenges integrating others into the American nation. Generations have had to work to overcome stigma and suspicion, whether we’re talking about my Irish ancestors, or Islamic immigrants today. But if you go back and look at the founding documents of the American republic, the rhetoric supports a radical equality among people. It is appropriate, then, that the narrative to emerge from the immigrant experience of the 20th century is one that seems organic to our national experience. The truth is, nearly 20 million immigrants—including my Italian grandfather—entered the United States between 1890 and 1920 alone. Many were poor. Many worked as unskilled laborers upon arriving in the New World. Many spoke little or no English. They saw the Statue of Liberty as a welcoming symbol and the beginning of their American dream. They and their children would go on to win two world wars, the space race, and the Cold War. They built America’s middle class. They changed the world. The power of the American myth is wrapped up in a colossus standing at the mouth of New York harbor, lifting her light as a beacon of hope to all those who seek shelter. “Mother of Exiles” is what Lazarus called the statue, rejecting the “storied pomp” of ancient lands, and welcoming “the homeless,” and “tempest-tost.” Don’t send us your best, Lazarus was saying, send us those who will most appreciate liberty, opportunity, and plenty. In late January of 2017, just a week after being sworn into office, President Donald Trump invited then-FBI Director James Comey to dinner at the White House. In private accounts and in public testimony, Comey described his discomfort with a private meal with the president, and the awkward exchange when the president said to Comey, “I need loyalty. I expect loyalty.” It’s an exceptionally troubling thing for the President of the United States to ask the FBI director for a personal pledge of loyalty. The FBI, after all, is supposed to be an independent law enforcement agency whose leaders, rank and file are loyal to the Constitution, not any one person. Loyalty to individual leaders is the stuff of the ancien regime in Europe—the era of kings and royal families. Interestingly, Alexis de Tocqueville, the great admirer of American democracy in the 19th century, reflected on the meaning of loyalty. As an apprentice magistrate, he had taken a loyalty oath to the French king, but he recognized the contrast between that pledge of loyalty and the patriotism of a free-born person whose connections to the place of his or her birth provided an almost mystical sense of loyalty, passion, and even love to the point of self-sacrifice—laying down one’s life for one’s country. In contrast, royal subjects might take some comfort in being ruled by an effective monarch and pride in the conquests of the king, as the king was the personification of the nation. In a modern democracy, such as we see now in America and France, the chief executive is not the personification of the nation. He or she is a public servant. He is not the embodiment of the state: he serves it. We do not pledge loyalty to any individual, but to the founding ideals enshrined in our founding documents. In the case of the United States, those ideals and rights are enshrined in our Constitution. If nothing else, the emails of Donald Trump, Jr. reveal that he was more loyal to his father’s campaign than to the land of his birth.